First Step pre-school is based in Thornbury, near Bristol, and we run pre-school sessions for children from 2 to 5 years old. We have two pre-school sites, each on the site of a local primary school – Crossways and Christ the King. Our staff are well-qualified, dedicated and enthusiastic, and we have a fantastic range of facilities at both our sites. We provide a safe and stimulating environment where your child can learn through play, helping them to gain social skills, confidence and independence. 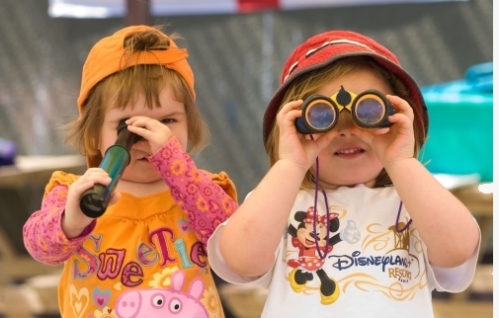 In all our pre-school sessions, your child has access to both indoor and outdoor space. Our secure indoor spaces are well organised, with lots of toys, activities and equipment. 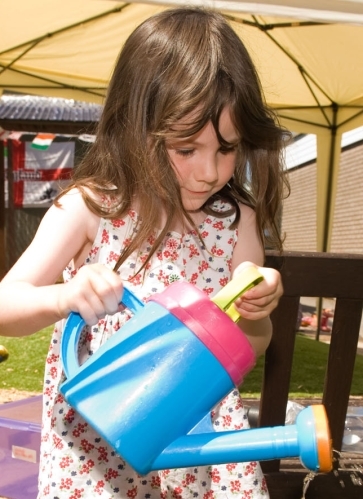 Outdoor play in our safe, enclosed garden spaces helps to keep your child healthy and gives them the chance to explore and be physically active, while supervised by our excellent staff. We have a well-planned and stimulating curriculum, based on the Early Years Foundation Stage (EYFS) guidance, which supports all round development of your child. We organise our sessions to make sure that we have a balance of child-initiated and adult-led activities, taking into account your child’s individual interests and needs. We have a large selection of toys and activities for your child to choose from, as well as group activities (both small and large groups) for stories, songs, activities and discussions. We provide high quality care and education, and we are always looking for ways to improve the pre-school experience for your child. We have a high ratio of qualified staff to children, as well as parent helpers, and so we are able to give your child the time and attention that they need. We work in partnership with parents, the local community and professional bodies to help your child learn and develop. We welcome all feedback, and are always keen to hear what parents think. We still have spaces for September 2019. Our Christ the King site is rated OUTSTANDING by OFSTED and is Makaton friendly. Our Crossways site is rated GOOD by OFSTED and has a purpose built new building. We start back on Tuesday 23 April. Copyright © 2019 First Step Pre-School. All Rights Reserved.